Jesse Reiter Discusses Downhill Skiing For Children With Cerebral Palsy Who Have Little Or No Use Of Their Legs. “How Can Someone Who Can’T Walk … Fly? Jesse Reiter Discusses Downhill Skiing For Children With Cerebral Palsy Who Have Little Or No Use Of Their Legs. “How Can Someone Who Can’T Walk … Fly? This is the eye-catching question that is on the main page of ski instructor Tom Cannalonga’s website. Tom is an avid skiier who began the sport as a teenager. He became hooked and went downhill skiing whenever he could. But at age 17, his life changed. Tom was body surfing on the Jersey Shore when a wave got a hold of him and slammed him head-first into the sand. He broke his neck and became an incomplete quadriplegic. The black diamond downhill skiier was unable to use his legs. The quadirplegia understandably made Tom depressed. But he felt as if he could handle just about anything. Tom quickly got his life back on track after the accident; he found a girlfriend, went back to schooll and got a great job. But one thing never stopped hurting, and that was the loss of an acitivity for which he had had so much passion: downhill skiiing. He really missed it. Then one day, Tom saw a mono-skier on television. The skiier was carving turns and getting air, just like Tom had done before his accident. The difference was that the skier on TV was in a sitting position and using one ski. Tom immediately found an adaptive ski program in New York and began taking lessons. Pretty soon, he was back on black diamond hills getting a ton of air. Being able to do his favorite sport again was a great feeling. It was a lof of fun and gave him confidence that his body could do what he wanted it to do. In addition, knowing that he could go skiing helped him cope with the challenges of daily living. Tom wanted to share this experience with other disabled people and he became a ski instructor and motivational speaker. He started the website sitski.com, which is a comprehensive webite about adaptive skiing. The site also has a list of adaptive programs throughout the country. The excitement of adaptive skiing is nicely captured by one of Tom’s good friends, Kirsty. Challenge Mountain is in Boyne City, which is in the beautiful northern Michigan area, near Petosky, Travese City and Lake Charlevoix. Challenge Mountain offers all types of skiing, specially adapted for children with almost any disability, including cerebral palsy and blindness. The very skilled instructors help children and adults with cross country skiing, sit skiing and mono and bi skiing. People with disabilities can ski here and enjoy all the activities at no charge. The goal of Challenge Mountain is to provide exciting activities for its guests, and to unify families so they can do sports and activities together, just like any other family. Crystal Mountain is a ski and golf resort in Thompsonville, which is a city near the expansive shores of Lake Michigan, just 28 miles south of Traverse City. Adaptive ski equipment is available anytime there is snow, and Crystal Mountain has an adaptive sports clinic every January that gives intensive instruction over a 3 day period. The resort offers many other programs for the entire family to enjoy, such as horse-drawn surrey rides and dog sledding in the winter, and chairlift rides, canoe trips, Sleeping Bear Dunes tours and guided fishing trips in the summer. The motto of the patrons of Cannonsburg Challenged Ski Association (CCSA) is “If I can do this, I can do anything!” This ski program is in Ada, Michigan, and it encourages maximum independence for each person, as well as family participation. CCSA wants all the skiers to make friends, gain confidence, and meet their emotional, physical, social and cognitive goals. Research shows that skiing can help improve motor skills, and children in the cerebral palsy program at Mary Free Bed Clinic visit the slopes every year. Reiter & Walsh ABC Law Centers is a national birth injury law firm that has been helping and advocating for children for over two decades. 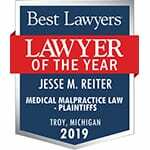 Jesse Reiter, the president and co-founder of the firm, has been focusing solely on birth injury cases for 25 years. He is currently recognized as one of the best medical malpractice attorneys in America by U.S. News and World Report 2014, which also recognized ABC Law Centers as one of the best law firms in the nation. The attorneys at ABC Law Centers have won numerous awards for their advocacy of children and are members of the Birth Trauma Litigation Group (BTLG) and the Michigan Association for Justice (MAJ). If your child was diagnosed with a permanent disability, such as cerebral palsy, hypoxic ischemic encephalopathy (HIE), periventricular leukomalacia (PVL), intellectual disabilities or developmental delays, the award winning attorneys at ABC Law Centers can help. We have helped children throughout the country obtain compensation for lifelong treatment, therapy and a secure future, and we give personal attention to each child and family we represent. 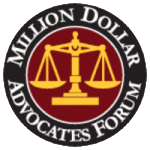 Our nationally recognized firm has numerous multi-million dollar verdicts and settlements that attest to our success, and no fees are ever paid to our firm until we win your case. Email or call Reiter & Walsh ABC Law Centers at 888-419-2229 for a free case evaluation.